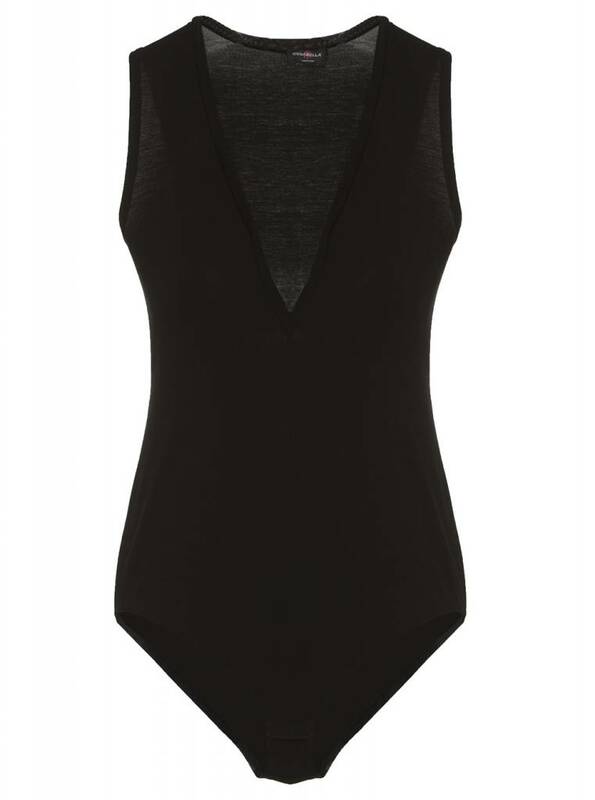 Take a plunge and step into this cushiony soft, medium-weight, sleeveless stretch bodysuit with a deep-v neck line. Bare your décolletage in this deep-v plunge and be confident in your skin. Pair this bodysuit with denim for a modern ensemble.